Book clubs: What images do those two words conjure up for you? Ladies sipping tea and trading favorite lines from Jane Austen, right? Or a group of suburban moms huddled around adult beverages with the latest chick lit offering? Or maybe a conversation that’s a little too academic, with participants bandying around literary terms like “foreshadowing” and “malapropism” and overanalyzing every paragraph. Certainly these images are true for some groups, but don’t think that book discussion is an activity limited to any certain demographic or that you had to have majored in English to take part. Book groups broaden your reading horizons. You will read quite a number of books you normally wouldn’t give a second glance. Yes, you’ll probably dislike some of them (I’m looking at you, Never Let Me Go and The Night Circus), but you will also enjoy a lot of them. Some of the books that you never imagined yourself reading will become your absolute favorites (Now I’m looking at you, Where’d You Go, Bernadette? and O Pioneers!). They’ll also broaden your worldview. You will learn about other cultures and perhaps gain different perspectives from your group members’ points-of-view. Your communication skills will improve because you’ll be listening to other people talk about the books you read together. And with all those books, your reading comprehension skills will be sharpened as well. At the Kenton County Public Library, we offer “traditional” book clubs that meet at the library, an online club that meets virtually on GoodReads, and we have often hosted meetings at coffee shops, art centers, and other locations throughout the community. Check our website under Events to see what’s happening. And don’t be put off by the use of the word “club”. There’s absolutely no obligation to attend all of the meetings. You aren’t even required to register for these discussions. 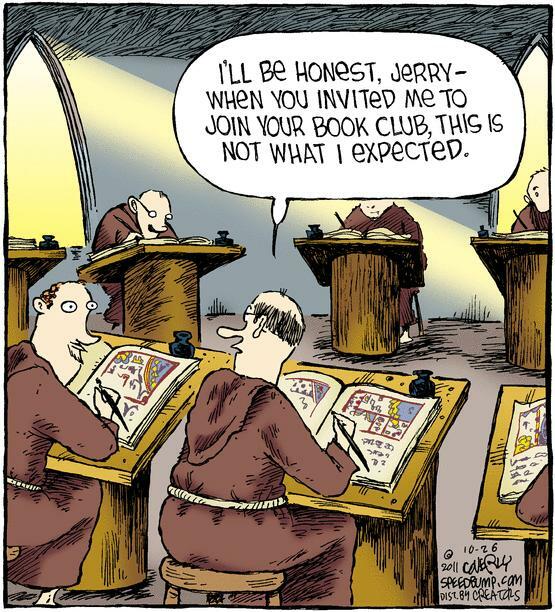 All you’ll need to do as a book discussion participant is to read the book and then show up for the meeting. It’s as simple as that. Now maybe you prefer to form your own discussion group, outside of the Library, and host it on your own. 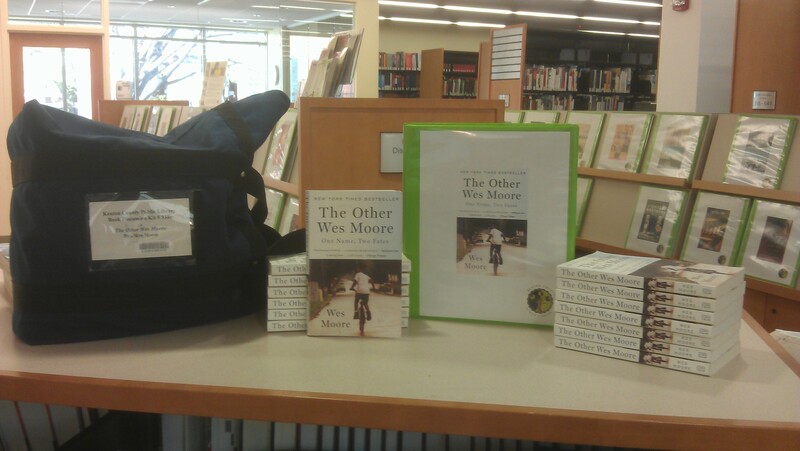 We’ve got you covered there, too, with an extensive book discussion kit collection available to check out for free! If you have visited the Covington Branch recently, you may have noticed that our book kit collection is now on the main floor, next to the Reference Desk. Want to see what titles we currently have available? 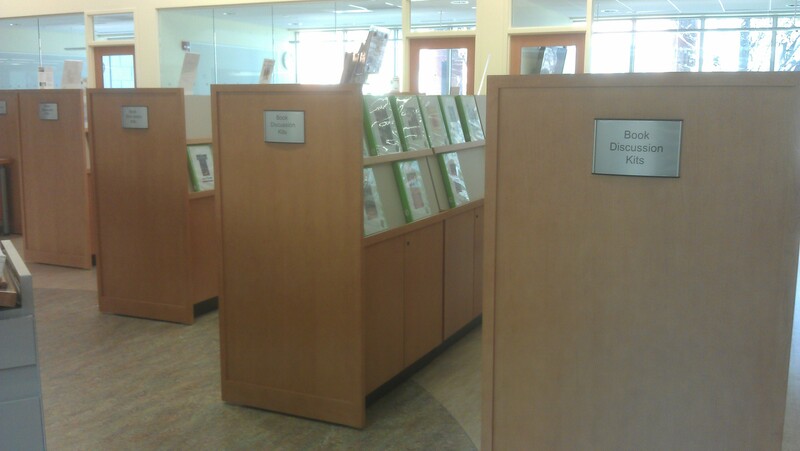 Just take a stroll around the display units and leaf through the discussion guides that are on display. We select new titles every year for our library groups and those kits become available the following year for check out by library card holders. Our kits contain 12-15 copies of a book plus a discussion guide, which includes an author biography, editorial reviews, and sample discussion questions to help you get your conversation going. If you aren’t sure which book you’d like, I’m always happy to recommend one. Just drop me an email at lesley.daley@kentonlibrary.org or call 859-962-4060, ext. 4240. The bottom line is that book clubs can be for everyone, so give one of our discussions a try. Or go ahead and start your own club. You provide the space and the snacks – we’ll provide the books.